Northern Georgia is a hot spot when it comes to spring allergies, and it seems to be getting worse. We enjoy a long spring, and while that means lovely temperatures and beautiful days, it also means more exposure to pollen. 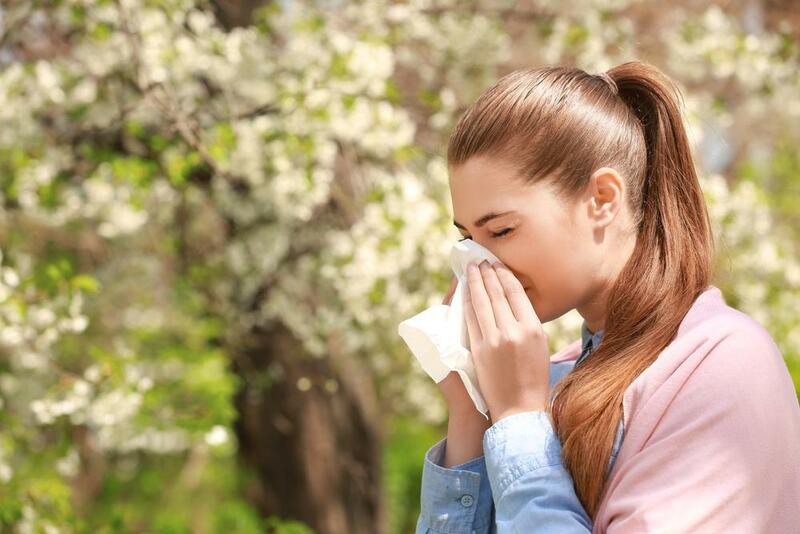 If you’re tired of sneezing and sniffling through spring, Dr. Lee can help. He provides allergy testing to find out exactly what you’re allergic to. Once you have an official list of your allergens, you may want to consider immunotherapy. We provide immunotherapy through a series of allergy shots that help desensitize your body to your allergens over time, which helps diminish your symptoms. When you come into contact with a substance that you’re allergic to, such as pollen, the reaction starts in your body’s immune system, which treats the pollen as an invader. Your immune system exists to protect your body, and it reacts to the substance by producing Immunoglobulin E (IgE) antibodies. IgE antibodies then stimulate your cells to release certain chemicals, including histamine, and you feel the effect as an allergic reaction. Most of the time you notice symptoms in your nose, lungs, throat, sinuses, ears, skin, or lining of your stomach. You may even experience asthma or a life-threatening condition called anaphylaxis. The first step in getting treatment for your allergies is to undergo testing. There are two types of allergy tests, skin testing and blood testing. Dr. Lee usually performs a skin test. A skin test gives near-immediate results, whereas a blood test takes much longer. Also, blood tests usually are considerably more costly and have the potential for giving false positive results. When you have a skin test, Dr. Lee pricks the surface of your skin and places a drop of a suspected allergen on the spot. If you’re allergic, the area will swell and turn red. Dr. Lee can test for numerous potential allergens at the same time, if needed. In addition to the skin test, Dr. Lee asks detailed questions about your medical history, when you experience allergic reactions, and what kinds of symptoms you have. The combination of the skin test and your medical history usually gives him enough information to make a confident diagnosis. There are several different ways allergies can be treated. For example, if you’re allergic to pet dander, you can limit your exposure. But if you’re allergic to pollen, you’re going to be exposed because it’s not practical to stay inside all of the time. If you’ve tried over-the-counter medications and the results haven’t been satisfactory, or if you’re looking for a longer-term solution, immunotherapy could be the best treatment option for you. Once Dr. Lee has identified the specific substances that your body reacts to, he may recommend allergy shots, which are given in two phases. In the build-up phase, you’ll need one or two shots each week. Then in the maintenance phase you’ll get a shot once every few weeks. Each shot exposes you to a gradually-increasing amount of your allergen so that your body becomes desensitized to it. The number of shots and the length of each phase varies from person to person. Dr. Lee works to find the dosage that works best for you, and uses the information he gathers during the build-up phase to determine your dosing schedule. If you’d like to learn more about allergy testing and treatment, book an appointment online or by phone today at Woodstock Family Practice & Urgent Care in Woodstock, Georgia. Dr. Lee is happy to answer your questions and determine whether allergy skin testing might be helpful for you this spring. Did you sprain your ankle or fracture a bone? It’s hard to know the difference after you sustain an ankle injury. Seeking urgent medical care is always a good idea if you hurt your ankle. Prompt, accurate attention helps prevent future problems.